Have you heard of batch cooking? It’s cooking food ahead of time in a large batch. For some, it’s cooking a month’s worth of food in advance. For me, it’s cooking a week’s worth of meals over the weekend. I admit it took me a while to warm up to this idea of cooking. I’ve always thought that food taste better when they’re freshly cooked. But as I read more and more about batch cooking, I was sold on the benefits. Instead of spending an hour preparing and cooking meals daily, just put two to four hours in the kitchen over the weekend and cook up one week’s worth of meals. It’s such a time saver! No more having to wash and prep ingredients daily. No more thinking about what to eat daily. 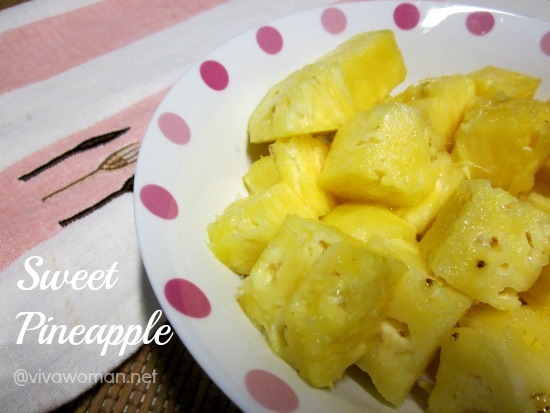 No more settling for unhealthy food every day because you don’t have time to cook. Just go home, heat up the portions and you have home cooked meals every single day. YAY! More power to clean eating! First thing first, you need a plan. A meal plan, to be precise. Having a plan means you know exactly what to purchase during your grocery shopping and what to cook later. If you are starting out, I suggest you start small. Perhaps cooking an entire week of food sounds too intimidating. Then batch cook for three days first. Or just plan for five days of lunch or just five days of dinner. 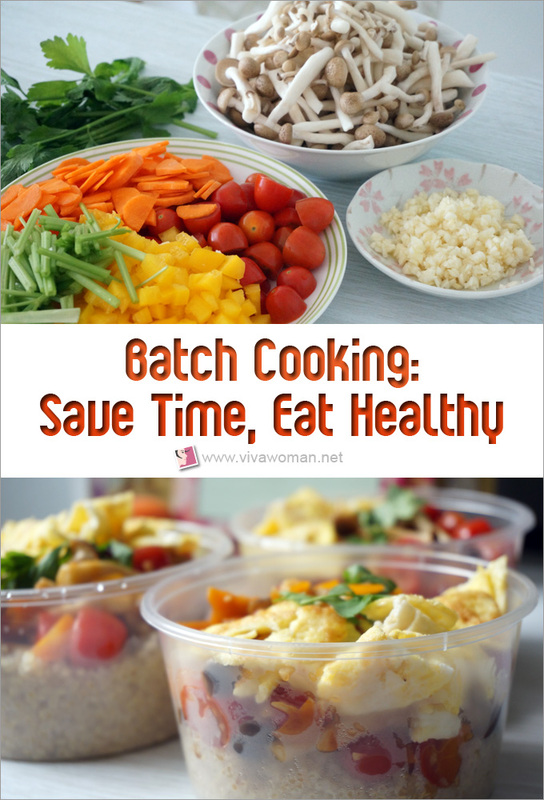 Batch cooking usually means the same food is prepared for different days. But obviously, eating the same old might be hard to stomach for some. If that is the case, how about cooking two or three variations and eating the dish with different staples? For example, I like mixed vegetables and I do a batch to be eaten thrice a week. Although it’s the same dish, but I vary what I eat with it. Some days, I eat the dish with quinoa like a salad. On other days, I eat it Chinese style with multigrain porridge or black rice. Besides mixed vegetables, I’ve also been batch cooking curries, baked chicken wings, steamed meat, steamed egg as well as quinoa salad. I avoid green leafy vegetables in batch cooking though. They usually turn out too cooked by the time they’re reheated and ready to be eaten. If you find preparing a full dish too troublesome, you can focus on batch cooking the essentials like a broth or soup stock. You will find this really useful for times when you need to whip up a soup in 15 minutes. Another alternative is to freeze food that is prepared and ready for cooking. Say you can marinate a batch of chicken wings and cook them as and when you need them. 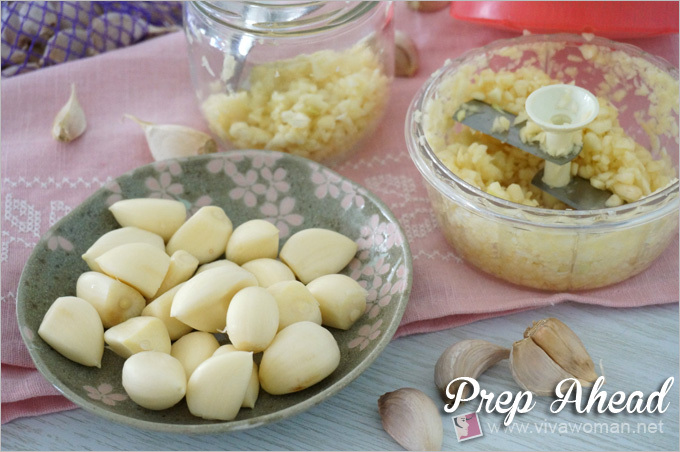 To read more, check out my post on time-saving meal preparation tips. How to store batch cooked food? 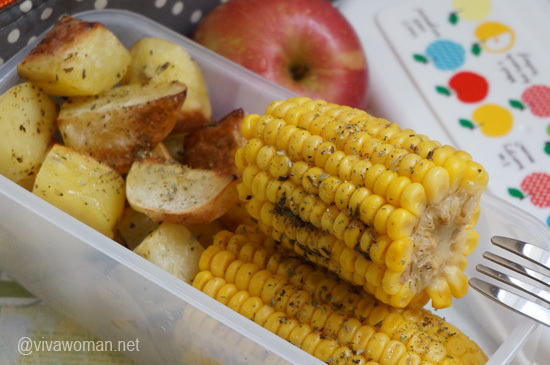 You need to freeze all your cooked food almost immediately. If you’ve just cooked the food and it’s hot, let it cool down for half an hour before storing in the freezer. Exceptions can be made when you plan to consume the food the very next day. In that case, just store the food in the fridge and not the freezer. I’ve seen some people store their food in freezer bags (or ziplock bags) in the freezer compartment. I prefer to store mine in disposable plastic containers as I find them easier to handle especially when the food is thawed. As I only use them for storage with no reheating, I usually recycle them a few times. 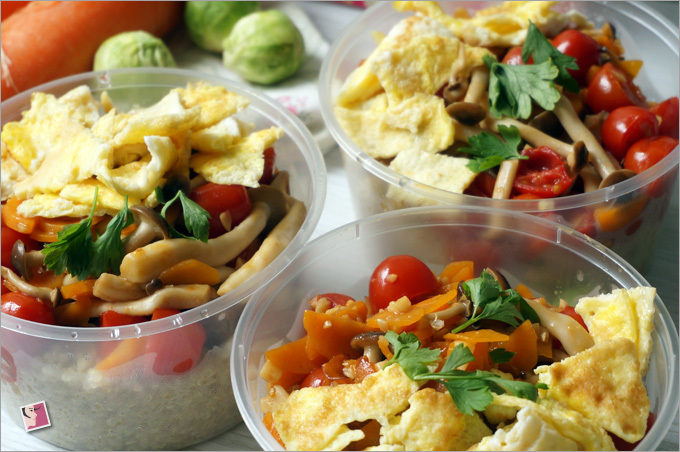 If you dislike disposable containers and freezer bags, go for some kind ofÂ glassÂ containers that allows you to freeze and reheat the food. I always divide my batched food into smaller portions. This makes freezing and defrosting a lot quicker. Say if you’ve batched cooked a pot of curry, freeze the curry into reasonable portions per meal for when you do decide to reheat it. Also, take note that if you’re storing food with lots of liquid, make allowances for expansion when the food is frozen. How to reheat batch cooked food? If I plan to eat the food the next day, I’ll usually remove the frozen food during the night and leave it in the fridge till I’m ready to cook it. To reheat, I usually place the food in the oven for around 10 minutes. That, or I steam the food if it can be reheated that way. Are you inspired to batch cook? At this stage, some of you are probablyÂ wondering if food nutrients are lost when food is batched cooked, frozen and reheated. Well, not for meat and vegetables like tomatoes. But in general,Â fruits and vegetables oxidize fairly quickly once they are cooked so it makes no sense to batch cook them. They are best eaten raw or freshly cooked. I also admit that batch cooking is less of a hassle for a smaller family or for yourself. But still, it’s doable for families of any size. The difference lies in the amount of time taken to batch cook. Still, it’s undeniable that batch cooking will most definitely save you time. 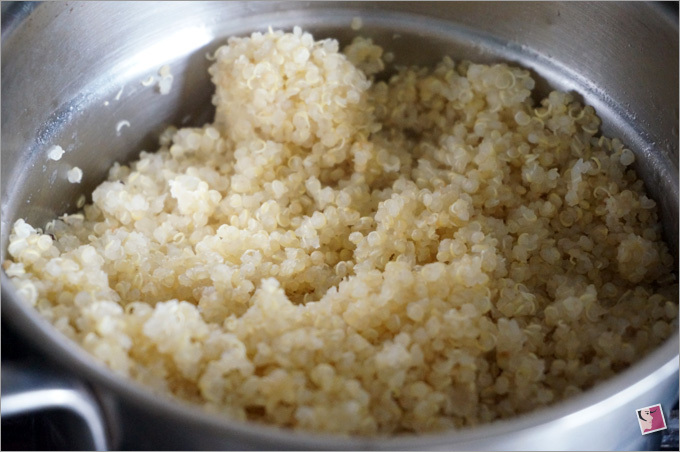 Batch cooking is definitely a feasible way toÂ eat healthy. Currently,Â I’m still trying to prep a variety of batch cooked food. I’ve seen my colleagues do pasta and this is one dish some of you can try. Unfortunately, I’m trying to steer clear of wheat as far as possible so I try not to eat pasta as often. 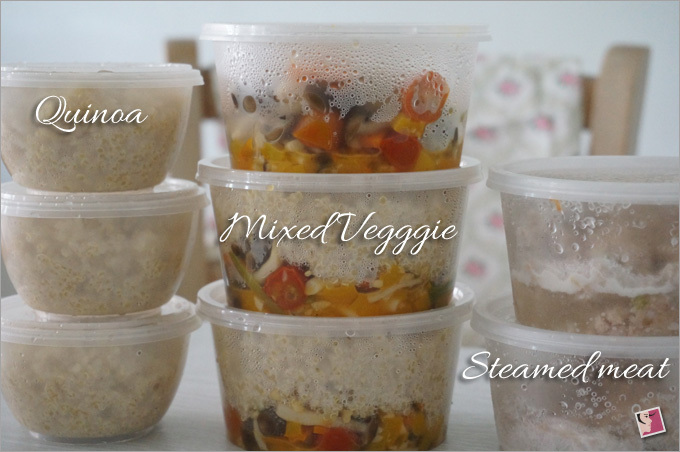 If you’ve been batch cooking like me and have some ideas to share on how to handle veggie, do share with me. For the rest, do let me know what you think about batch cooking. Is it something you’ll attempt or is it something you’ll pass? Your post is really useful for me. I am a busy girl so I nearly don’t have much time to cook finical dishes. I will save these tips. They seem to be quite easy to cook and be safety for our health. Thanks for your sharing. You’re welcome! Wish you success!